Tramping Track – Christies Track drops steadily beside the gully from Summit Track near the western end of Upper Nihotupu Dam. There are some muddy patches along the track. The track crosses Huia Stream just before a final short climb to Huia Dam Road. 1.8 km 1 hour 15 minutes. (Source). 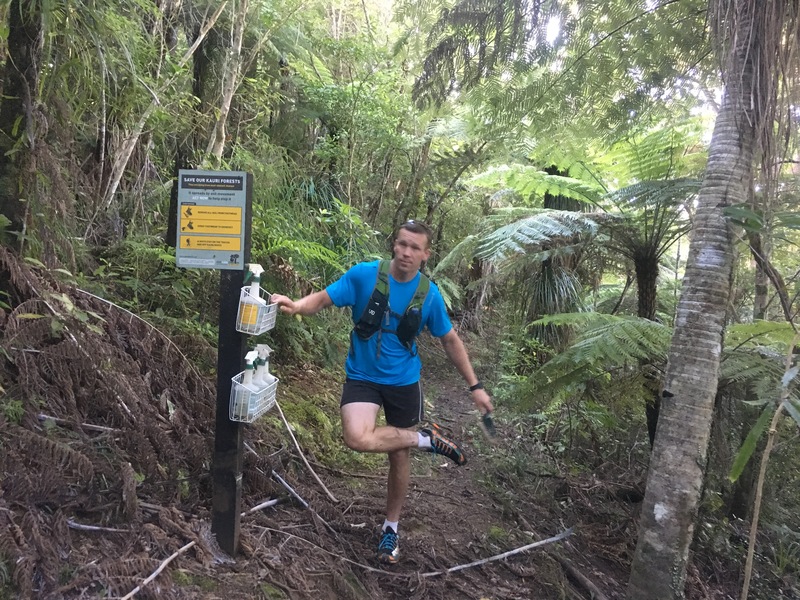 Christies Track runs between the Upper Nihotupu Dam Track and Upper Huia Road and of our planned journey between the two dams was the only section that I had not traversed previously. The track starts on the far side of the dam, there isn’t anything let the general public know apart from the warning sign, they seem to like to put signs at popular tourist locations, I guess it deters people from venturing off into the unknown. Beyond the sign the trail ascends the hill via a long set of stairs (my fave – not) and just as you round the corner you come to the first shoe cleaning station at the Summit Track junction. Summit Track heads up the hill to the left and Christies continues straight ahead. It’s quite a narrow track that seems to cling to the edge of the hill and quite frankly some sections have done a better job of clinging on than others. 😉 It’s also one of those tracks that never seems to see sunlight so although there are sections of shin deep mud there is a lot less mud than you’d think for somewhere the sun doesn’t seem to penetrate. Christies is quite a technical track, think narrow sections of wet rock perched over a slip, wet roots, mud, large fallen trees and numerous water crossings but there are a few sections that are simply a pleasure to run along although in saying that I’m not sure the few pleasurably sections make up for technicalities of the rest of it – it’s quite slow going, especially for those of us of normal stature. I had to slide down a couple of the steeper banks and James had to help me up quite a few of the larger “steps”. Oh and have I mentioned that it’s muddy? .. Which is perhaps the reason there are randomly placed shoe cleaning stations enroute .. ? 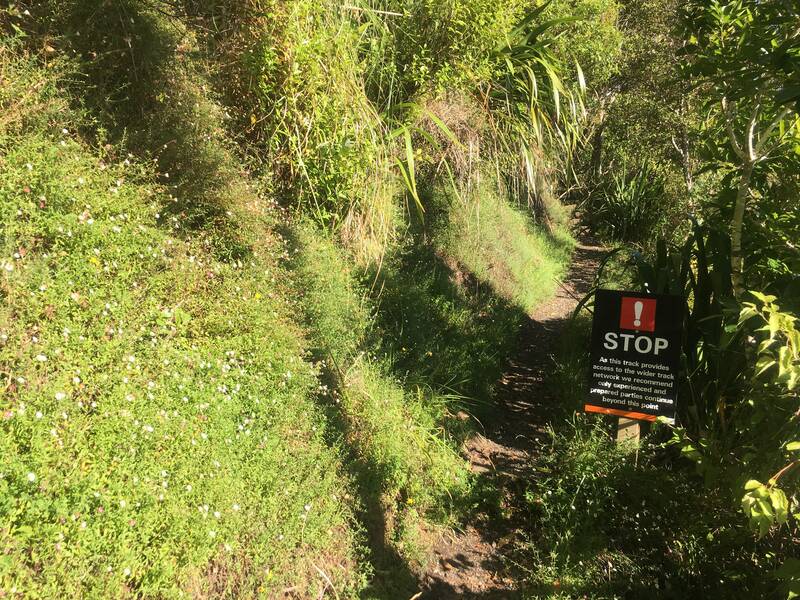 Parking – you can park at either the entrance of the Upper Nihotupu Dam Walk or the Upper Huia Dam Track, both are on Piha Road. Toilets – Two at the Waitakere Dam and 1 at Upper Huia Dam. Kid Friendly – I wouldn’t take either of mine (7&9). Time – ARC time said 1 hour 15 minutes, we did a return trip in just over 2 hours.